The C. Bechstein Contur 118 upright piano enchants with a very attractive, slim silhouette. Brass plate at pilasters and consoles provide an additional accent. Curved lines and the golden ratio of the cabinet design contribute to the charm of this piano. The C. Bechstein Contur 118 upright piano is an elegant piano with an average height that integrates easily into your living room. This piano is offers richness in tone color just as a small grand piano. With its wide spectrum of interpretation due to many intermediate tones and numerous nuances, it is suitable for all musical styles. In many tests, the C. Bechstein Contur 118 upright piano excels as outstanding. C. Bechstein pianos are the market leader worldwide in the area of premium class upright pianos: The many constructive elements of the C. Bechstein grand piano manufacturing philosophy that flow into Bechstein upright piano fabrication lend these upright pianos the most beautiful sound and make them the most diverse ever. A look behind the scenes in our factory shows how carefully we attend to each masterpiece’s becoming and maturing. Your piano-dealer will be happy to give you insight into the complex world of C. Bechstein’s piano construction. 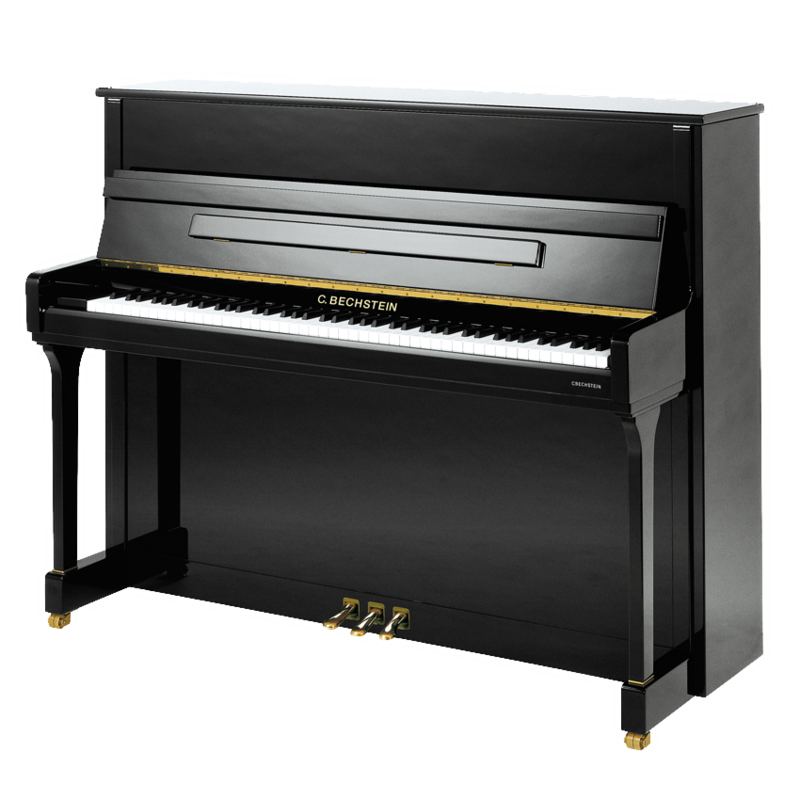 The C. Bechstein Contur 118 upright piano can also be supplied with the C. Bechstein Vario System, which allows you to practice any time, day or night, without being overheard.